Garage-trash-glam. A sleazy evening with swinging hips and fists in the air. Drop your pants and dance. Fake Billy & The False Prophets: a name that creates as many questions as expectations, and that's exactly the way Fake Billy likes it. Raw energy, strong songs and catchy hooks. Their first performance at 4:30 a.m. at some trash-party ended in blood lying next to the toilet and sweat dripping down the walls. 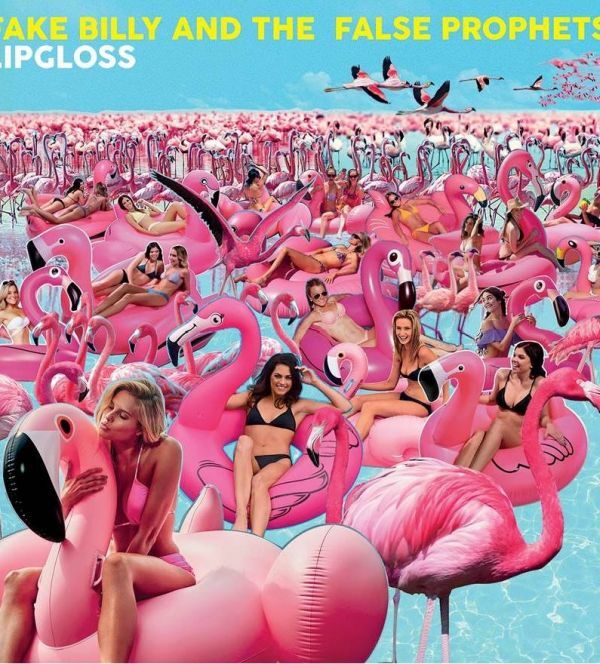 Since then, cellars, bars and festivals have ensured Fake Billy & The False Prophets developed into a razor-sharp band with a tight garage-trash-rock 'n roll sound with the volume up to 11. First singles Celine Dion and Bikini Girl did very well on Dutch indie radio with the latter making Top 5 in the Dutch Indie Chart. Summer is coming, yay! So enjoy what nature has to offer, take off your pants and dance!